2016 Mountains to Sea Calendars are available now! The perfect gift for anyone who loves the natural beauty of the Carolinas! 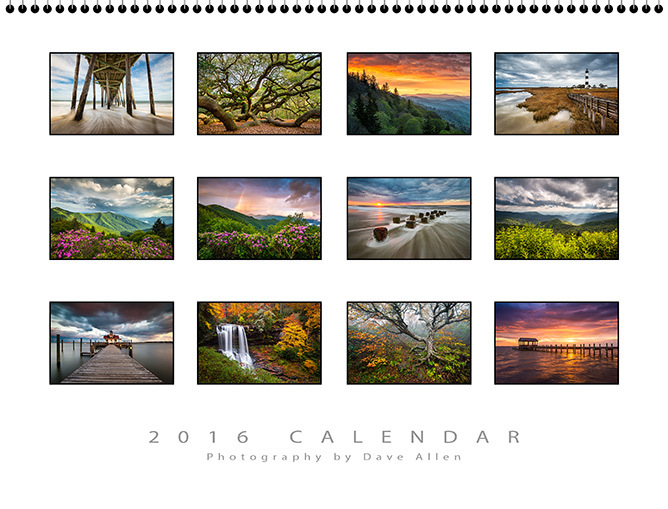 12 months of breathtaking landscape images from the Blue Ridge Mountains, NC Outer Banks, and beautiful Charleston SC by landscape photographer Dave Allen. There will only be a small number of these available, so order yours today!